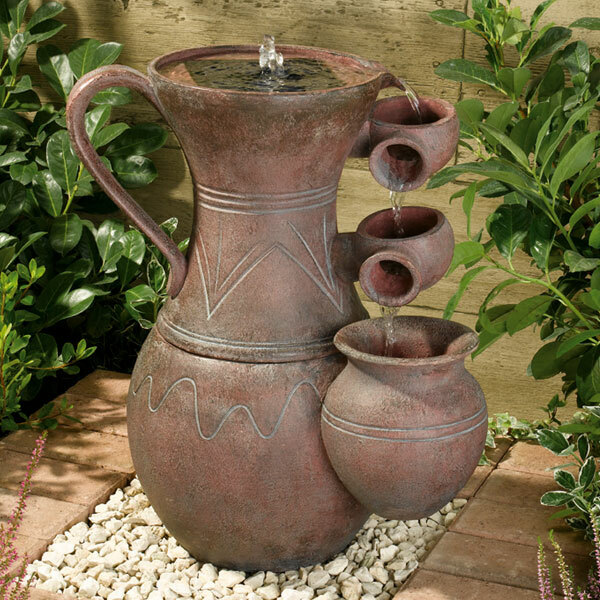 This Smart Solar Pitcher Cascade Water Fountain creates a relaxing atmosphere on your garden, patio or balcony and is manufactured from maintenance free resin and finished in dark terracotta. 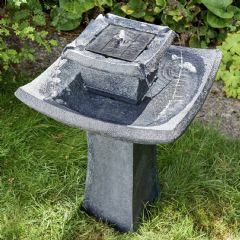 Featuring solar on demand, this water fountain allows you to choose when you wish your fountain to work. 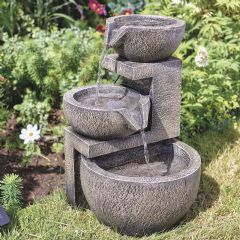 This fountain also has a patented underwater integral solar panel, battery and pump system. Operate daily and use the battery technology to provide constant performance even in cloudy weather. Alternatively, leave it off and charge the battery for when you want, even at night. 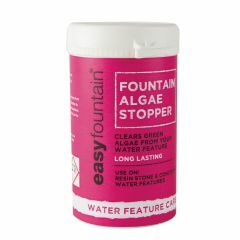 This water fountain is quick and easy to install, requiring no wiring – so sit back and enjoy to soothing sound water. Must be dismantled during freezing conditions to prevent damage. Had one before so knew exactly what I was getting and love this as it stores the energy during the day so at night when the sun has gone down it can be on and creates a lovely atmosphere. I am really pleased with this water feature. As others have said, it is more purple than brown but I love it. 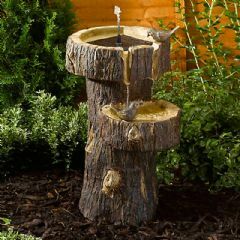 It is a lovely size, was easy to put together and gives a lovely sound of running water which is what I wanted. Having the solar panel and the battery works really well and allows it to work after the sun has set or on a cloudy day. There were no delivery delays and I would buy from this company again. It was cheaper here than on Amazon! It is just as advertised. I struggled a bit with the assembly but I was talked through the procedure and they were very helpful. I am so pleased with this purchase. The feature is solid and a good size. It was easily put together and works beautifully. I love being able to move it around the garden and having the battery to charge so it can be run for a while out of sunlight. It is easy to turn on or off ( battery charging in sunlight) and adjust the lovely sound of water trickling through the pitchers. Better than I expected or hoped. Well made, easy to assemble. Looking forward to using it in the summer. Bought this to replace one that packed up. Looks good and after a reasonably sunny day it wad still going at midnight ! 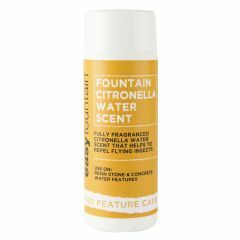 Best price I found and free p&p. 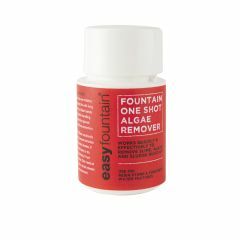 Easty to assemble, good quality and value for money. Just like the picture. Very attractive addition to my patio. This is certainly an enhancement to my garden. It arrived promptly and was well packed. Will use Greenfingers in the future.